Experts predict that an EMP strike that wipes out electricity across the nation would ultimately lead to the demise of up to 90% of the population. However, this figure begs an important question: if we were able to live thousands of years without even the concept of electricity, why would we suddenly all die without it? While it may seem as if going without electricity would be nothing but an unfortunate inconvenience, the truth is much more harrowing. To better understand why 90% of the population would die if the lights went out, consider the following ways in which losing electricity would impact our society. 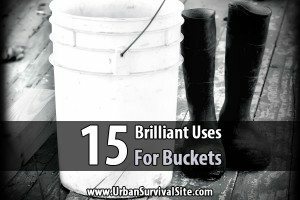 Almost no one in the United States still carries a bucket to a well to draw up water. What this means, though, is that our water sources are now dependent on electricity. If an EMP strikes, the vast majority of the population would lose access to fresh water as soon as the water towers run dry. Some people would be able to find other sources, but many would not. For those without water, the length of their lifespan would be measured in days. 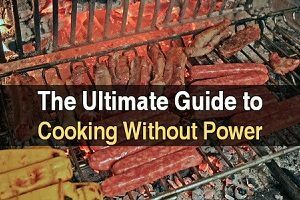 Those who are able to find water sources not dependent on electrical power now have another concern: food. Almost everyone who lives in an urban location is completely dependent on markets and grocery stores for their food supply. Even those who live in rural locations are largely, if not completely, dependent on buying food from outside sources. However, if the electricity goes out, the supermarkets are going to be looted and possibly never restocked. From transportation to refrigeration, to even the growing of the food itself, our entire system of keeping the population fed is reliant on electricity. Sure, there will be small farmers who are able to feed small amounts of people nearby, and there will be those who are able to adapt and grow their own food, but an alarming number of people would starve to death in a matter of months. Some areas of the United States, such as Minnesota in the winter and Arizona in the summer, are only habitable because of climate control. If not for indoor heating and cooling, these places wouldn’t have been inhabited by so many people. Once indoor heating and cooling disappear, surviving during the hottest and coldest times of the year will become a real problem. Some people would relocate or figure out a way to get by, but many who are unable would die of heat stroke or freeze to death. Think of all the things that used to kill so many people before modern medicine. From polio to a ruptured appendix, there are countless things that once would have been fatal that are now either treatable or wiped out. Modern medicine, however, is entirely dependent on electricity. Without it, all of these things would come roaring back with a vengeance. Hospitals that didn’t close their doors would lose a large majority of their effectiveness without all the machines they rely on. Meanwhile, pharmaceutical companies would be unable to produce the wide array of prescription drugs that are keeping so many people alive. To make matters worse, the fact that access to fresh water would be greatly diminished means sanitation would become a real problem. Without proper sanitation, diseases would spread at an exponential rate. Due to these factors, no electricity means far more sick people and fewer ways to treat them. Within days of the electricity going out, our society is almost guaranteed to collapse into chaos. If you aren’t convinced that would happen, just look at what happens when a natural disaster devastates just a single area of the US, then multiply that by the entire country. Looters would quickly steal anything they could get their hands on, and armed gangs would roam the streets. Law enforcement would clash with them at first, but they would almost certainly be overwhelmed in little time at all. The chaos would cause people who were once law-abiding citizens to turn to crime, and the number of criminals law enforcement would have to deal with would go through the roof. In addition, effective law enforcement is largely dependent on good communication and teamwork – both things that become a lot more difficult in a world without electricity. All of this is to say that, without electricity, going outside your home would suddenly become a much more dangerous endeavor. Those who are able to avoid starvation, dehydration, disease, and death by the elements would constantly have to look over their shoulders to avoid being killed. It’s not a pretty picture of human nature, but it’s a grim reality. As you’re probably well aware by now, surviving in a world without electricity would be a very tall order. The fact that a single detonation could devastate us so completely is disconcerting, to say the least, which is why many of the nation’s top defense experts agree that an EMP is the most troubling threat we would face if we ever went to war with a country that was able to hit us with one. That said, 90% of the population dying without electricity means that 10% will make it, and a little preparation will go a long way toward ensuring you and your family are one of the 10%. 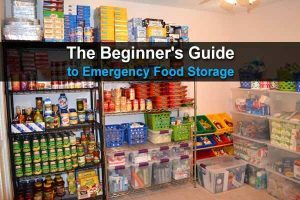 Start by making sure you have access to food and water supplies that are not dependent on electricity, and stockpile all the medical supplies you can. 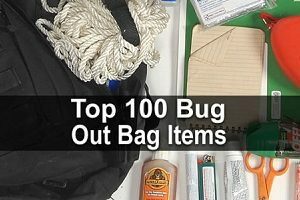 If you live in an area where climate control is necessary for survival, either plan for an alternative way to heat or cool your home or put together a bug out bag and be prepared to leave fast. Lastly, make sure to lay low and avoid going out unless absolutely necessary. Surviving without electricity certainly wouldn’t be easy, and the threat of an EMP is one that should not be taken lightly. However, it can be done. Check out this video for more information on what the world might look like after a widespread EMP. Frankly, none of this concerns me in the least. I have multiple fail safes in place and many redundant plans should any one fail. I’m a highly skilled woodsman, hunter, self medical practitioner when I need to be and highly motivated survivalist. I’m a highly skilled and highly trained Vietnam veteran who has kept up on his training and bolstered his skillset with current training of the returning veterans of our recent wars. I’m also skilled on all the disciplines involved with survival from having everything I need, to being able to survive with absolutely nothing. “One Second After”, and “Patriot” by Rawls. If/when this happens there is no one who can imagine the horror and terror. No writer, no film maker, no prophet, no person. Even the 10% will find things beyond their physical and emotional capabilities. And for the ones who said no way they will be gone in a flash. All their excess for luxuries will be futile. You and yours will be your only ally; maybe a few “best friends”. There will be no government, and any part of that would be corrupt and murderous. Some conservative fools…. and there are some brag about their guns, etc. Problem is there is no community or command and control. 300 million guns do no good in little groups of 5 to 100+. Google the EMP Commission Report for the 90% estimate. There are 3 or more sources of EMP destruction: North Korea, solar storms, and terrorists. Friends and family just laugh it off, no prep. Our government does nothing putting border walls and trips to Mars ahead of survival of our civilization. Great article. For a picture of what would happen read “One second after”. There a few pages where a community doctor describes the waves of deaths for the country community and it would be much worse in the cities. The 1st wave from the initial blast sure but then the waves of deaths when meds wear off; how many people are on mood altering drugs now? Consider both illegal and prescription. Feeling a little down? Pop a xanex. A whole bunch of people going cold turkey and desperate? Yikes. Then death by disease and infection. How about West Nile virus? There are no insecticides now. People have weakened immune systems because they’ve relied on low quality processed foods. I work for a major appliance manufacturer and it’s mind boggling the number of people who can’t even heat food without a microwave. I think it will be worse than we can even imagine. “…..presription drugs that are keeping so many people alive”. In the macro view, prescription drugs are the 3rd leading cause of death in the US. Not abused, but used as prescribed. Curtailing medical treatments (the number 1 cause of death in the US if you include mistakes and malpractice) might save more lives than lghts out for medical care may cost. Added to the already mentioned deaths, would be people on life support. Plus innumerable cases of road rage from people attempting to escape the turmoil in the large cities. The one thing that will probably kill more people, in the long term, will be our beloved nuclear plants. No electricity to run the water pumps, and they simply overheat. So if we don’t starve, we’ll get nuked. Pleasant thought. All of the above is moot. An EMP that shut down the electrical grid across the nation would result in a nuclear exchange the likes of the which would never be seen again. A few cockroaches might survive if the radiation didn’t get them. The death toll would be catastrophic, and it would be caused mainly by people not knowing what to do. Water is available in lakes and rivers, sure it’s not safe to drink just as so (usually is, but always comes with big risk). Having the ability to purify water is step #1 – I’ve got 3 professional water filters, and we even boil on top of that to be sure. Climate Control, sounds difficult but there is basic things that cost $0 to help. Harsh winters, if you were lucky enough to have a head start before frost kicks in, your lucky enough to be able to dig so that you can use the natural warmth of the earth to protect you – if not your left with building an igloo like structure. For any kid that built snow forts in a big snow bank, you know that once inside you can easily take off your clothes cause it’s pretty warm. As for desert, same applies digging into the earth to use it’s cooling abilities; FYI deserts do not have much food you’re best to bug out! Medicine, this one is very tricky… I would just reiterate what was said, stock up! That does not mean bandaids and alcohol… I mean get your hands on penicillin, and other antibiotics. More the better! Security… is a huge concern. Problem here is many people will be too stubborn to leave cities and towns. My solution there which as I indicated been preparing for years, get as deep as you can into the woods! Further you are from civilization the better… not to mention it makes hunting and trapping lot easier cause they’re more abundant. 90% is probably overly liberal, because only a small percentage of the people now live in the country, and even a smaller percentage of those grow their own food. There is something here that people simply refuse to factor in, and that is the fact that most water will be a death sentence to drink after shft, but people who are insane with thirst will drink it anyway. Contaminated water kills, always has, always will. thanks. PS make no mistake, suicides will take a heavy toll also. When I said “hours,” I didn’t mean, just three or four. I meant more like 72 hours. I guess I could have been more specific, but I thought it was obvious what I meant since everyone knows you can go at least a day without drinking water. Hours means hours, days mean days, weeks mean weeks; this was a bad choice. If a doctor told you that had only months to live how would you feel if later he explained that it was 72 months? I just didn’t think anyone would take it to mean only a few hours. Maybe I’m overestimating people. Ok dude then let’s break it dow to 72 hours!! And your 30 to 40 days is BS also. Stop eating for just 3 days and see how effective you are. The author is spot on. Don’t believe me then stop eating and drinking for those lengths of time. 90% is an astronomically high number. I don’t believe it is rooted in reality. However, since hurricane Maria has totally wiped out power on the island of Puerto Rico…let’s see what happens. They claim PR won’t have power for MONTHS. So…the island should come through this with just 10% of their population intact? 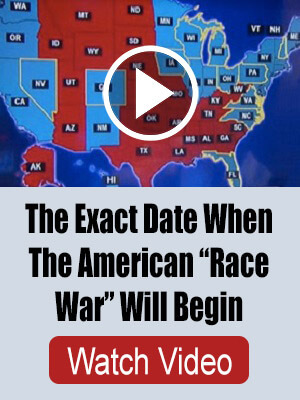 I don’t think that will happen. I agree with you in questioning 90% number. Puerto Rico will be interesting to watch, but not quite a good test of Alan’s original premise. Food production (and other supplies) on the mainland are unaffected, so the Puerto Ricans will get resupplied fairly quickly. Knowing this, the islanders probably won’t lapse into desperate riots and mayhem. Alan’s premise was that the whole grid (the world, perhaps?) goes down, so there isn’t any “outside” to send in supplies. Puerto Rico also will have outside influences providing them with food, clean water and medical supplies. Things like heating sources to cook food and law and order also. IF an EMP did strike over the United States, there wouldn’t be any of it. With in three months there would be so much death just from unsanitary living conditions. Depending on when what time of the year an EMP attack happens can also play a significant role. IF it is during Autumn and Fall, depending on where you are located, you wouldn’t be able to grow any food. Unless you have wood already cut and aged for a year you will not be able to get proper heat from wet wood. 90% is probably too optimistic as no one would be coming to help. No comparison to Puerto Rico – thousands of rescue personnel working full time with a modern infrastructure and industry backing them up. Ifthe grid goes down all that disappears and neighbors are murdering each other over a jar of Skippy. I agree with your assessment of the problems that will hit if the grid goes down. While I’ve heard the 90% figured bandied about before, I think it’s far too pessimistic. Maybe 50%, and even then, not for a long time (many months to over a year or more). People (even many sheeple) prove to be fairly resilient and resouceful in times of crisis. When shortages have occurred, they adapt. They often cooperate. One person with a clue can keep dozens alive. But, yeah, lots will die, eventually, until the population and resources find an equilibrium. 90%? Seems far too high. Only 3.2 million people alive in the US? 64,000 in each state? No. People are too stubborn to simply die in those kinds of numbers. They’ll stick around and be annoying. Better, as you say, to have a source of water that doesn’t require power. For a lack of law enforcement, DIY. Be armed and vigilant. The hard part is growing your own food — not just some herbs in a window box or a couple pots of tomatoes, but enough calories to get your through a year. The medical part is tough. If your life depends on Drug-X, all you can do is lay up as big a supply as you can and hope an alternative presents itself before it runs out. Yea I’ve heard 90% around the Internet, too. Apparently, there was a study in 2004 that said 90%, but I haven’t been able to find it. I hope you’re right that it’s too pessimistic. I agree, it’s hard to imagine only 3.2 million people left. But the purpose of this article is to be a wakeup call for people who don’t understand how dangerous an EMP can be. If only half the people in the U.S. die after a year, that at last means many people you know and care about will die, and it will be a miserable year full of all sorts of traumatic experiences. And that’s even if you’re prepared. 10% would be more like 36 million not 3.2. Sorry about the decimal error there. Yeah, 36 million, but that’s still pretty scant. But, as you say, even if it’s “only” 50%, that’s a whole lot of dying. It would be bad. The living 50% will have to cope with it. Seems like, during prolonged wars, where there is a lot of death, people’s minds find ways to cope with it. Maybe it will be like during and after the Black Plague, when roughly half of Europe died over a few years, people just sort of accept the decaying skeleton as a local character. Seems like a prepper ought to sort out (prepare) in his own mind how he’d cope. After all, you can’t prep for everyone. Half are likely to die. It will be worse in the cities, where the concentration of hungry people will quickly outstrip whatever resources there are. I know Rawles thinks there’ll be the Golden Horde fleeing the cities to ravage the countryside, but I don’t think so. By the time people figure out that government help isn’t coming, or isn’t enough, they won’t have the energy or stamina to become a horde. There might be a slow trail of weak refugees trudging to somewhere, but they won’t have the strength to ravage. More like the Trail of Tears or Battan Death March. They’ll be dropping like flies along the road. LOL LOL,You spoke the truth about weak refugees,Trail of Tears,Cause ALOT of country folks know this and will wait for them ZOMBIES to come out.LOL.Turkey shooting time.Country living people know city folks by just looking at them.Your so true about the gloomy picture. Correct my math but 10% of 320 million comes out to 32 million! Let’s hope your prepping is better than your math! The leading cause of death will be people continuously pushing the power button on their cell phone until they get carpel tunnel syndrome, at which point they will curl up into a ball and die since life is not worth living without a cell phone. Those needing life-saving drugs, like my husband will die. I have not found an alternative to Keppra yet. Battery Operated options in, on Or Off grid applications. I have converted a wall Lamp to LED 12 volt, DC Using a Jump start battery in a plastic box. color coded Alligator clips to the battery. even living in the city, I loose power at least once a month, It’s nice to have. I check the charge monthly .Charge it with small float charger if needed.Less than $50.oo for the whole set up. I also have a LED light in my storage shed, It has a 20 Watt 12 volt DC solar panel ,$34.00 to the battery for it It’s powered by a Lawn mower start Battery from W/ mt 19.95 Plus Core charge, similar set up. batteries will also be zapped by an EMP and instantly rendered useless, why do people not understand this simple fact. People need to learn the good old ways, how to may lye, how to make candles, how to learn how to hunt and gather … A very hard lesson for everyone. Hey your right also.People need to know how to do things such as canning, preserving, smoking meats,hunting for food and clothing to keep you warm in the winter.AND HOW NOT TO WATSE SUPPLIES.I sat here and read all comments and it’s great to know these things off by heart cause I was raised in the country.And I’ll live here till I die of natural causes.For I know how to do things and try to show the younger kids how to do thing and make it fun for them to learn how to.But as Uncle George said ,LOL so true.Kids don’t want to learn things.IT’S CALLED WORK…….Mommy & Daddy will give them everything that they need.WRONG,CAUSE MOMMY & DADDY WILL BE SOME OF THE 90% DEAD.This is where the Zombie effect comes in…….Good-luck & stay safe. Right. If Mommy and Daddy are zombie or dead, the kids are in dire straights or worse.